And no sooner is the Beethoven CD finished than it’s down to hard practice on the next project at the end of April: a solo CD of Haydn Sonatas, to be recorded at the glorious and historic church of St. Oswald’s, Lythe, in North Yorkshire. The instrument I’ll be using for this is a copy by Lythe-based maker, Johannes Secker of a 5-octave Viennese instrument by Johann Andreas Stein (1728-92) – one of the most important figures in the development of the instrument towards the end of the 18th century. 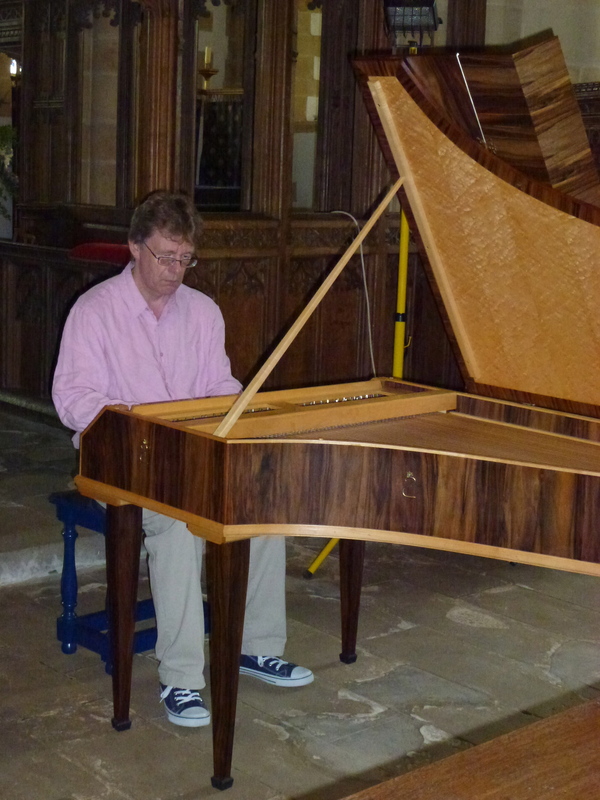 I first encountered Johannes’ sple ndid new instrument (pictured) in his Lythe workshop shortly before its completion, and last year I had the privilege of performing on it in this historic church during the North York Moors Chamber Music Festival. That occasion was, in fact, the piano’s first public outing, and its sound in the two quintets for piano and winds by Mozart and Beethoven immediately enchanted me. The opportunity of making a solo CD recording of it was simply too good to miss! It seems fitting that this should take place just a few hundred yards down the hill from Johannes’ workshop in the intimate acoustic of St Oswald’s. Haydn does not capture our imagination primarily as a keyboard player. His keyboard output is overshadowed by the symphonies, string quartets, piano trios and oratorios. Haydn’s keyboard sonatas in particular figure quite remotely in our perception of his overall output, perhaps because they are unfamiliar in comparison to Mozart’s and especially Beethoven’s which are played far more frequently, and in a far broader ‘spread’: just a handful of Haydn’s solo sonatas are at all regularly programmed in recitals. Another factor is the very nature of the concert, for Beethoven’s sonatas were designed more and more with public performance by professional virtuosi in mind. Haydn’s, by contrast were almost never intended for such a performing environment (except for those late examples, which we typically hear in the concert hall today): most were conceived for performance in a private or semi-private domestic or salon setting. Crowning a busy few weeks – too busy even to add any new blog entries – I spent the last few days of March with colleagues in Ensemble DeNOTE recording our latest Album: a pairing of Beethoven’s own arrangements of his Septet as a Trio for Clarinet, Cello and Piano, Op.38, and of his Piano and Winds Quintet as a Piano Quartet, Op.16. Both works are far more than ‘mere’ arrangements: each work masterfully explores the possibility of making the same music speak in different ways. 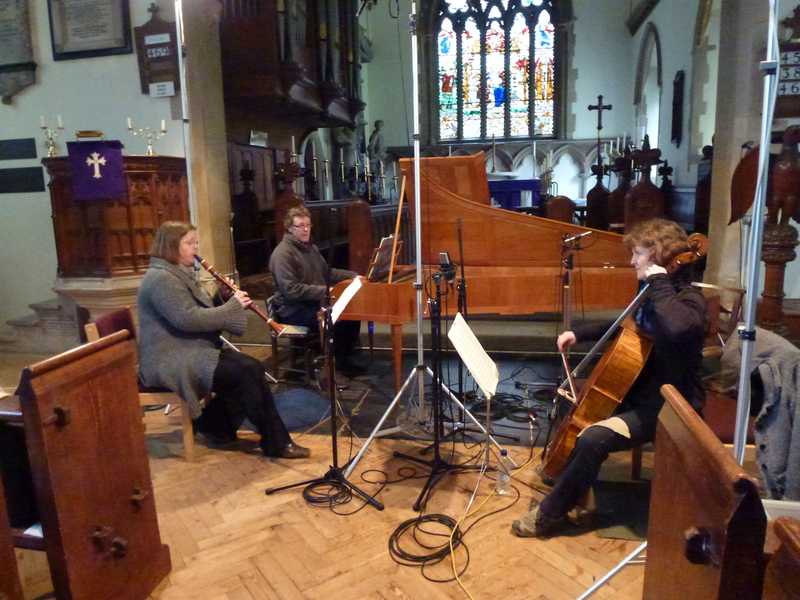 And making this music speak on period instruments is a real joy – especially when making music with lovely colleagues Marcus Barcham-Stevens, Peter Collyer, Ruth Alford and Jane Booth. None of this would be possible without the skills of the instrument makers, including Daniel Bangham (‘Grenser’ clarinet) and Paul McNulty (‘Walter’ fortepiano); expert tuner/technician Edmund Pickering; and Sound Engineer Adrian Hunter. I can’t wait for the CD!